As the summer is slowly but surely taking over our minds, the office life becomes slower and more relaxed. Most large projects are put off or have extended deadlines and most of our team is missing at some point or another. This is why summer is a great time to reflect on your teamwork, achievements and think of possible changes for the future. Who knows, what may come out as a result – a renewed conference room, new team structure or even a company wide reorganization. This is why this time we want to introduce and talk about LeSS – Large Scaled Scrum. The interest and need to scale agile practices is not a new thing, it has first appeared shortly after agile gained success and proved its worth as a project management approach. The issue with it however, was the fact that it can only serve a small team effectively and is not created to be used as an organizational structure. 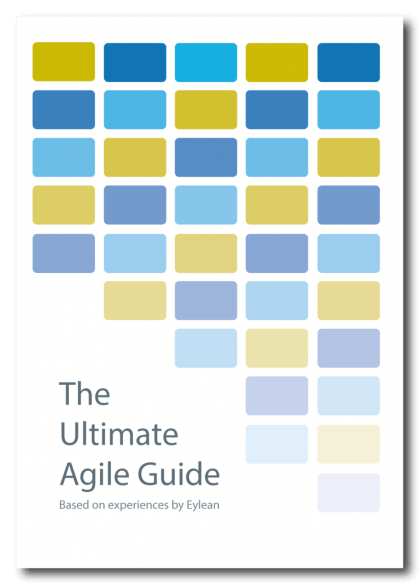 Therefore several practices to scale agile have appeared on the horizon, amongst the more known ones we have the Scaled Agile Framework (SAFe), Disciplined Agile Development (DAD) and the Large Scaled Scrum (LeSS) which we want to talk about today. LeSS was introduced to the Agile community by Craig Larman and Bas Vodde. Differently than other scaled Agile approaches, they put the focus on keeping the original agile values and the reasoning behind them when scaling up. They wanted to ensure that using scrum in a larger group of people would still be as beneficial as it was with a single team. As a result, when adopted, LeSS feels like a natural evolution from a small startup of a few people to a corporation of a thousand. This is achieved by a simple fact, that LeSS still keeps a lot of the traditional Scrum elements. The whole company uses a single backlog, which is not divided by teams, but focused on the end product. All of the teams also rely one definition of done, bringing them closer together and focusing on the goal at hand. There is a potentially shippable product increment at the end of each sprint to which all the separate teams contribute and one product owner overlooking the whole process. While there are many teams working on the product, they are all bound by the same sprint, therefore in a lot of ways, this still feels like scrum within your small team, just with more people. However, there are a lot more people involved and that has to be addressed as well. Since it would be quite difficult and probably very unproductive, all teams are not at once taking part in the planning, review and retrospective of the sprint. Instead, the planning of each sprint is split into 2 parts – the first one is attended by two representatives from each team as well as the product owner, while the second part is held by each team individually. This gives teams the knowledge of the overall plan as well as an opportunity to plan their own progress. The exact same approach is taken at the backlog refinement phase, where the first meeting is dedicated to splitting, light weighed analysis and estimation and the second is focused on specific teams. Daily scrum in LeSS is always held separately by each team, but the meeting is always open for other teams and a member from another team can also be assigned to attend and ensure the quality of the meeting. The scrum of scrums is usually held a few times per week to briefly update on the other team progress. Sprint review is attended by two representatives of each team, the product owner and the stakeholders, while the overall retrospective holds the scrum masters and one representative from each team, allowing them to effectively discuss possibilities for further progress. LeSS is a great example how scrum can be adapted to serve large teams effectively. Instead of reinventing the methodology and the tools, it keeps the most of it, only adding more people. At the same time it realizes the need for optimization and modifies the meetings in a way to serve the main interests of the teams.